It is time to start the holiday cooking, shopping and party planning, which also means that it is time to start thinking ahead to what technology trends in 2015 will bring. 2014 was a hot year for technology, and what used to be reserved strictly for the back-end IT folks were pushed into the mainstream. We predict that through next year, technology will only continue to become “consumerized” as devices become more connected, everything becomes software-defined and the Internet of Things becomes completely engrained in our everyday life. Read on for what we think will be the biggest networking trends in the New Year, and how we think these will play out. Big Data became a big buzzword in 2014. Enterprises started to realize its importance and usefulness for everything from learning about customers, to manufacturing and supply chain practices, to hiring and human resources. As we enter 2015, there will be even more opportunities to mine for big data. More connected devices will lead to access to more personal information – from steps taken per day to what commuters are reading on the train. From an enterprise standpoint, more data gathered will allow for the creation of improved enterprise best practices or customer service, all with the goal to prove that investments in gathering big data is worth it. Having a Bring Your Own Device program is no longer novel. Most enterprises allow employees to access company email and files on their mobile devices. But, what are innovative are Bring Your Own Everything programs. These programs even go so far as to entail employees bringing their own virtual private networks. 2015 will see the rise of such programs, but with an increased focus on security. The preparation for the impact this will have on networks starts now, and we predict that many enterprises will spend the early part of 2015 securing their networks for the onset of Bring Your Own Everything. Technology and IT services are finding their way into every department in the enterprise. With this, there becomes a need to both keep up with end-user demand while staying compliant with standards and protocols. As users who previously had little access to technology become more excited and empowered by the latest technology and connected devices, IT departments will feel the strain to ensure networks are up to the job. In 2015 it will be critical to ensure there is a smooth transition and integration period – along with training on proper use – so that there are rules and regulations in place to address new security, interoperability and bandwidth requirement issues as they arise. The rise of the CTO in the C-Suite will be a vital player in making sure this is accomplished. The Internet of Things has been a growing sensation for the past few years, but in 2015 we can expect to see it get bigger than ever. This will be aided by breaking down the barrier to adoption that is currently being felt as a result of the overwhelming mix of technology in the Internet of Things marketplace – from devices to communication protocols to middleware and applications. Leading standards and interoperability will also increase as the market matures. With the new ability to integrate things, people and data will come a transformation of the customer experience in a variety of industries. For example, connected mirrors that help shoppers with size and fit will prove to be a game-changer in the retail industry, and completely personalized healthcare options will make a huge impact on care coordinate in the healthcare industry. 2015 will see the Internet of Everything converging with brands to create increased brand awareness and, in turn, customer loyalty. It is important for enterprises to get ahead of these upcoming trends to use them to their advantage both internally and to boost the customer experience. 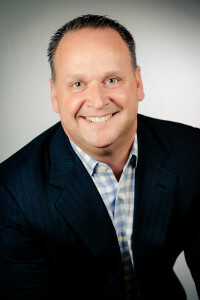 Dan Pickett is chairman and CEO of nfrastructure, a networking and IT services firm which helps large enterprises design, build and operate mission-critical infrastructure technology. technology infrastructure Prior to nfrastructure, Mr. Pickett was senior vice president and general manager of enterprise banking solutions at ALLTEL where he was responsible for a global customer portfolio that generated over $1 billion in total revenue. He holds a degree in industrial and management engineering from Rensselaer Polytechnic Institute and is an avid supporter of The American Cancer Society, Hope Club and other local charities.